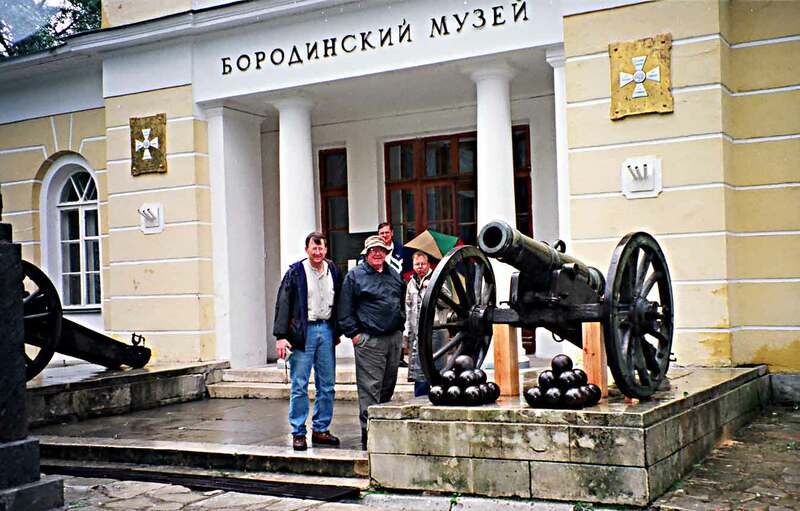 Friends visiting the Borodino Military Historical Museum- Preserve on a rainy day. The museum-preserve was created in 1839 to include the Rayevsky redoubt, Prince Bagration's grave and the main part of the battlefield. In 1859 General Tochkov's widow, Margarita's house became a museum. A new museum was built for the centenial in 1912 along with many of the monuments . Its contents were evacuated during WWII but the original building was destroyed. The present building was designed by V. Voyeikov and contains a very extensive collection of original items, including those belonging to Napoleon and Alexander, Kutuzov, Barclay de Tolly, Bagration and others.